Welcome to Game on Activities, the ultimate in outdoor fun! Organising a birthday party, stag or hens do, corporate event, family get together or revenge session with 'friends' but want something different? 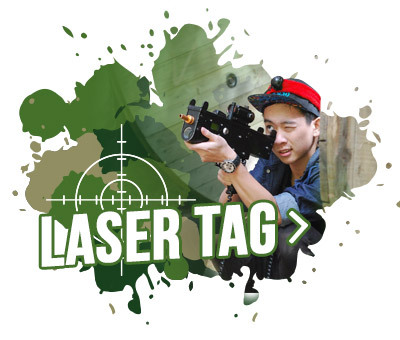 Game on Activities Laser Tag and Paintball is the perfect option for adrenaline pumping action! Located on an outdoor battle field known as the Valley of Pines in the heart of Oropi, Tauranga. Your time in the Valley will challenge you to out wit, out play and out shoot your friends as you discover who is and who isn't the sharpest shooter. Fast paced laser action. 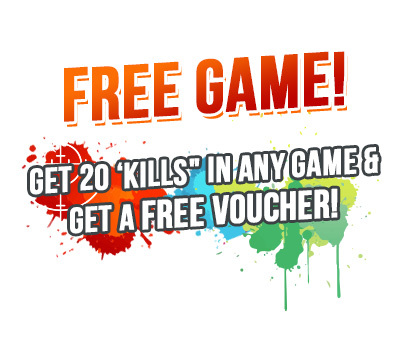 Choose from a large arsenal of laser combat weapons as you challenge friends. Outdoor assault at its best! Experience Tauranga's only outdoor forest action paintball course. Real Paintball offering a 1/3 the sting, 1/3 the mess, the full splat factor… and 3 times the fun! (Bookings Essential) Game Times: 10am - 12noon or 2pm - 4pm.